A Korean legend about the tiger lily; once upon a time … there was a hermit who save a tiger by removing a arrow from his wound. The tiger requested the hermit to use his magic to extend their friendship after his death. After the death of the tiger, where his body lay sprouted a tiger lily. The hermit got drown by the river and his body was washed away, tiger lily spreaded along the river bank as though the tiger was looking for his missing friend. 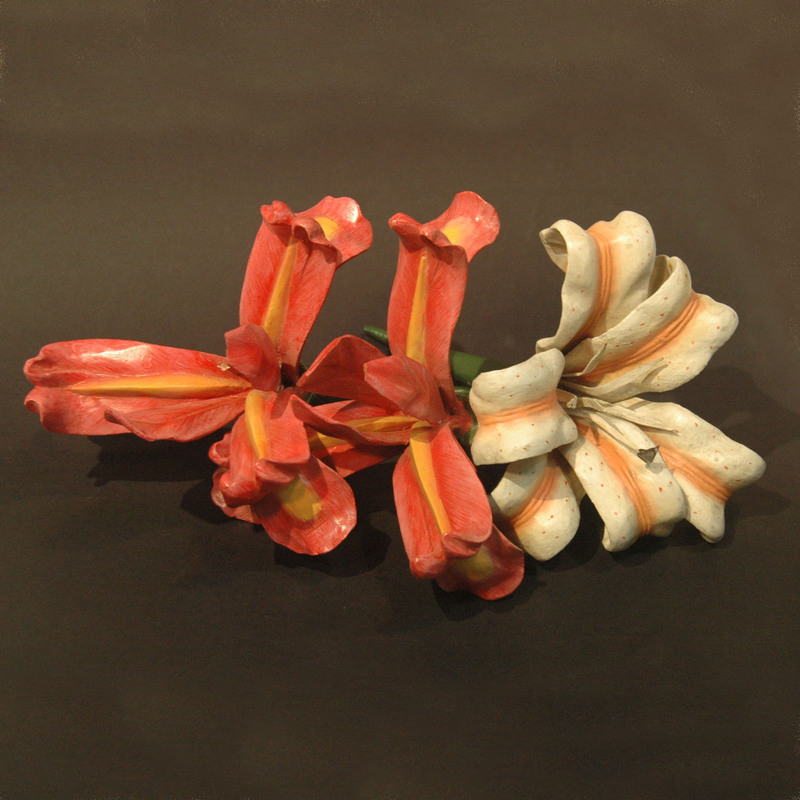 These are the first fake flower that I can appreciate, each petal are carved out from wood.